The thing is huge and you can see it on the horizon long before you reach the visitor centre. The Visitor Centre is a bit of a disappointment – with just a gift shop, cafe and single exhibition room. 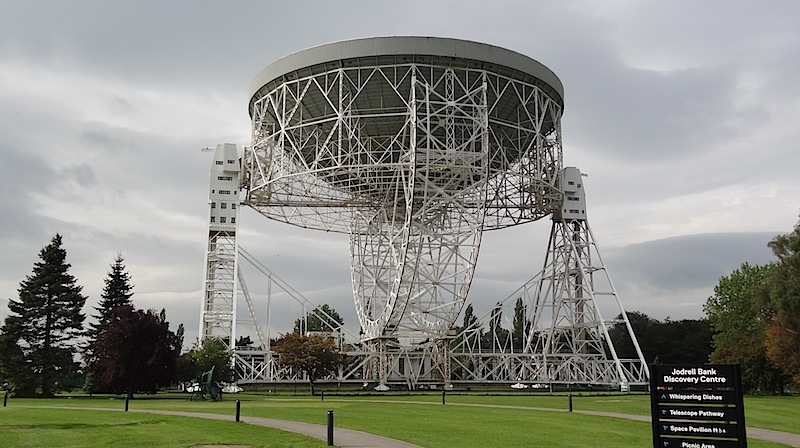 Outside, the only thing you can see and get close to is the Lovell Telescope; there are other telescopes on the site but you can’t get near them as they are in use. There are a few things scattered around the site but nothing to keep your attention for long. You can see everything on offer within 10 minutes of entering the facility. There is also a garden you can walk around which will take up another 20 minutes or so.